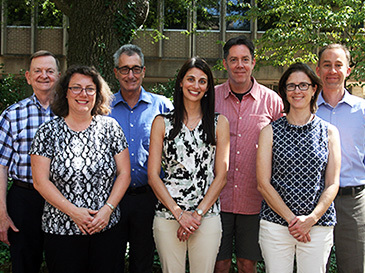 Welcome to the Cognitive Psychology Graduate Program at the Department of Psychology and Neuroscience at University of North Carolina Chapel Hill. The Ph.D. program in Psychology is designed to provide students with the knowledge, skills, and judgment needed to become active contributors at the highest-level to research, teach, and provide public and professional service in the community. The graduate program is designed for students desiring a rigorous research-oriented education in preparation for research and teaching careers in basic and applied areas of cognitive psychology. Our Cognitive Psychology Program has close ties with other doctoral programs, allowing students to obtain specialized training in areas such as cognitive neuroscience, cognitive aging, perception, and psycholinguistics. Learn more about our application process and curriculum.